A transport of 200 Jewish children, fleeing postwar antisemitic violence in Poland, arrives at the Prague railroad station. 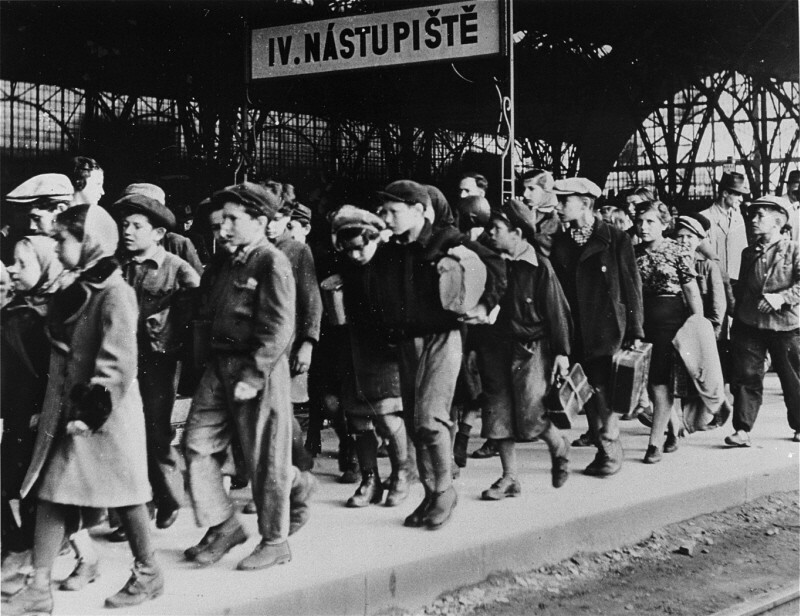 The children are on their way to displaced persons camps in the American-occupied zone of Germany. Prague, Czechoslovakia, July 15, 1946.